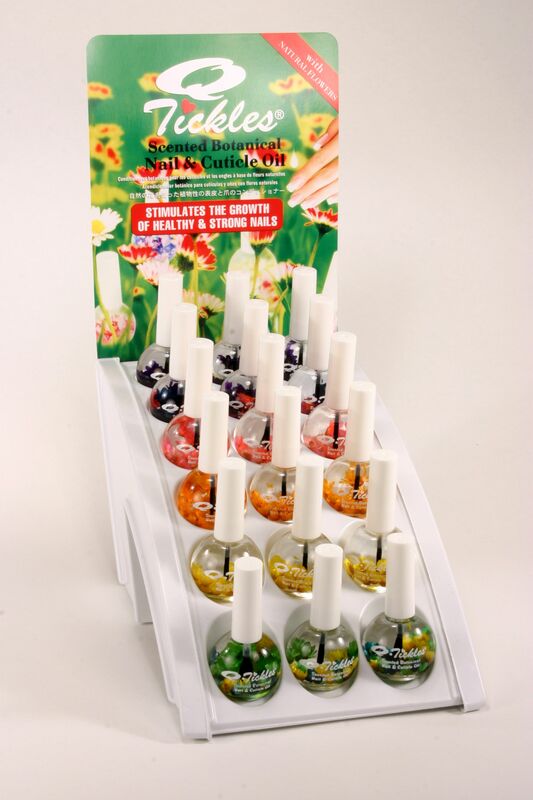 Q-Tickles botanical oils for nails and cuticles to promote healthy growth. Q-Tickles moisturizes the nails and cuticle from becoming dry and damaged. Welcome to our web home. It's so nice to see you. If you are not familiar with us or our products, allow us to introduce ourselves. We love making new friends and expanding our family. Lazer has been manufacturing nail products since 1975 for professionals and for private label. Our private label products are great for new businesses or for existing businesses starting up new product lines or expanding existing lines beyond their present capabilities. Lazer has many other professional beauty products that can be manufactured and we will custom make products to your specifications. Q-tickles Body Spray botanical oils for skin and body to keep skin soft and supple, great for massage. 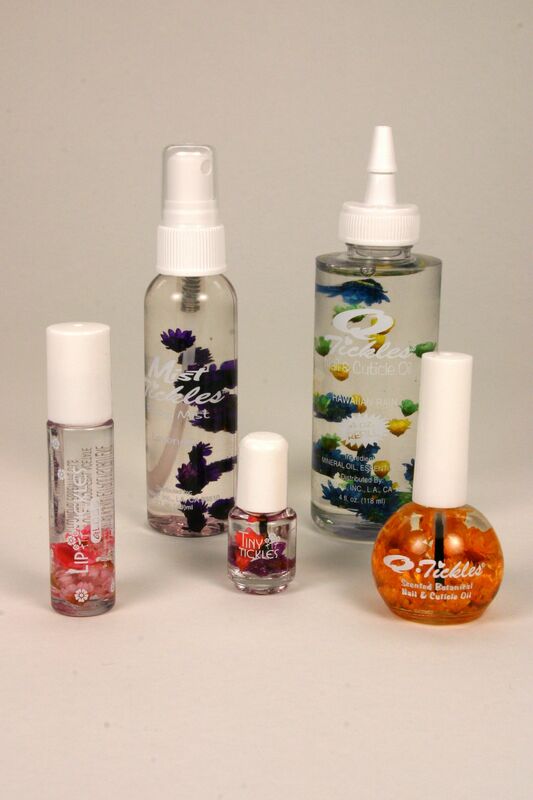 Lip Tickles botancial oils to keep lips moist and to keep from becoming dry and chapped. The 4oz refill of Q-tickles botancial oil is a refill for the professional use.